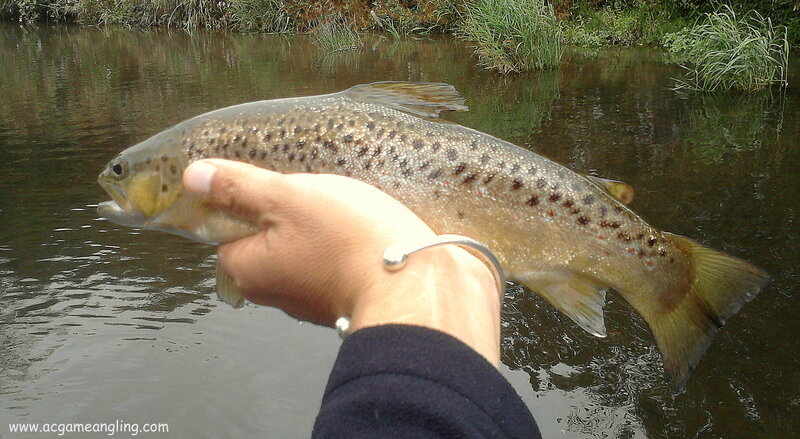 Had this message of Natural Resources Wales about bylaw 11 on the upper Severn. So be aware as it carries a max fine of £2500. So if your looking for something as simple as a few flies to a half or full days grayling guiding on the rivers of Wales please feel free to get in touch. 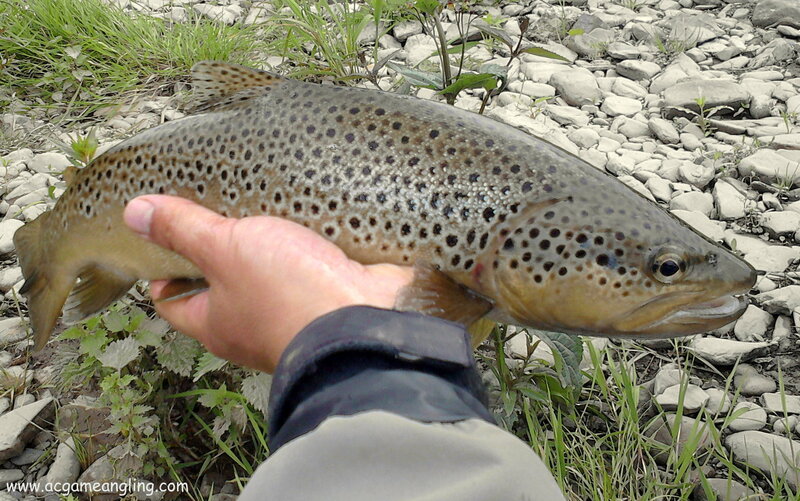 Well the 2014 trout season is over on the upper Severn for another year, It’s been a very busy season with lots of people out fishing even though the river levels have been quite challenging and stealth and presentation were the main key things to get right. 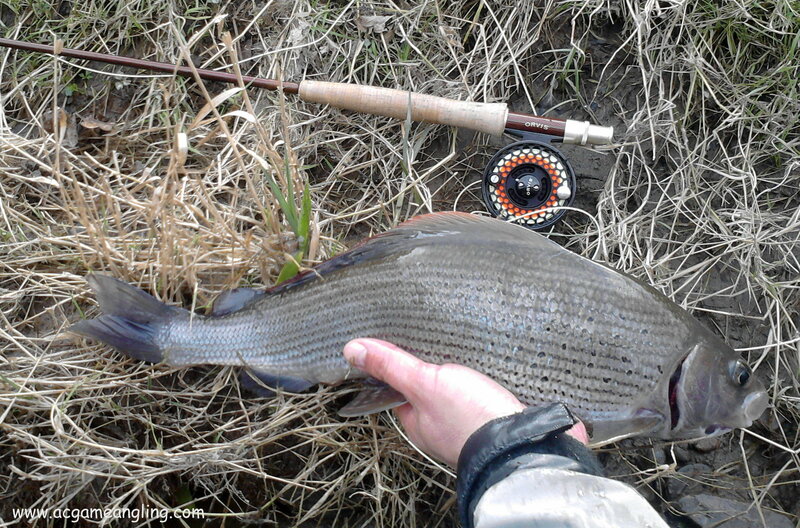 Hopefully the winter will be kind to us and the rivers will stay fishable un like last year, I hope to find some of the big grayling that have seemed to be hiding all summer long. 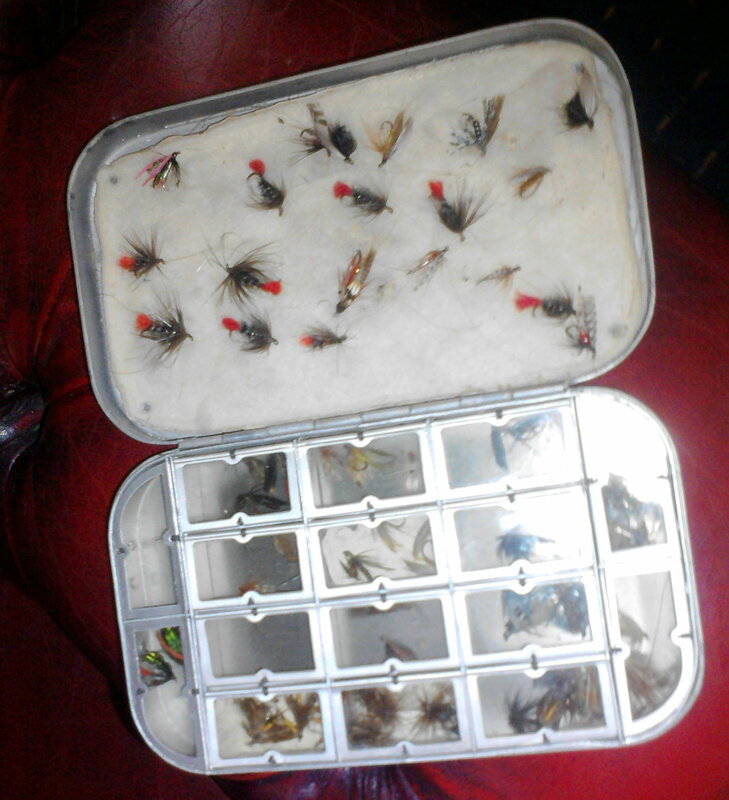 So I hope everyone had a fantastic summers fishing and I will see you one the river bank through the winter months. Been real busy on the rivers and to be fair the weather has been fantastic when Orvis sent me my new Clearwater wading jacket it had been raining on and off for weeks, as soon as I received the jacket the rain went away, sods law I suppose, but on Tuesday the forecast was looking a little sketchy so I thought I would take it along just in case, well I was really pleased I did in the afternoon there was the odd rumble of thunder and then the heavens opened, it poured down until it was time to pack in around 2 hours after the rain started, the jacket performed well, not to hot in the summer rain and kept me dry, bar for some rain running in at the top of the collar, mind that might be that I wear a chest pack and it does seem to billow the collar open a little bit. The one very small thing I would of preferred was a packable hood or some way of storing the hood when not it use, but otherwise all seems good. This what Orvis have to say about there jacket. This isn’t the Clearwater rain jacket of yesteryear. Fully redesigned and constructed for serious anglers, it takes on the elements, then kicks them to the curb. 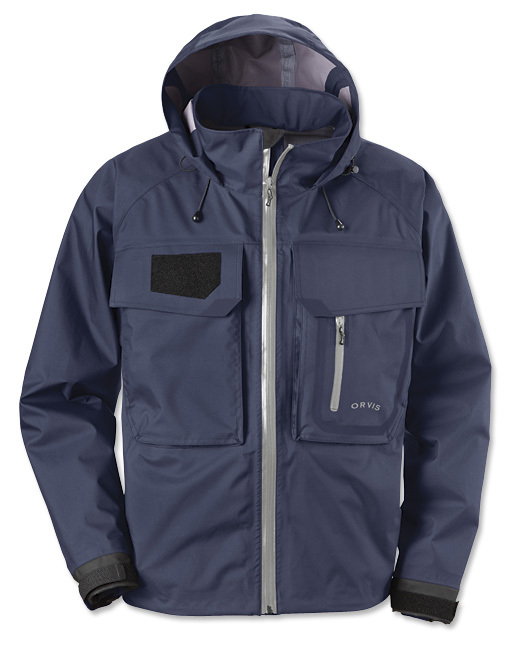 With features such as fleece-lined handwarmer pockets, a full-coverage hood, a fleece-lined chin pad, YKK Aquaguard zippers, huge bellows pockets, and much more, you’ll be doing yourself a disservice fishing in any other fly-fishing jacket. In navy. Polyester. Imported. New Toys To Keep Me Dry, Well Hopefully !! Just received some new Orvis Silver Sonic Seam chest waders, the idea sound good that they are welded together rather than sawn putting loads of little holes in the seam, as for fit very good with a wide range of sizes for height, inside leg, chest etc and they fit me very well indeed, nice touch inside the waders is a waterproof pocket for car keys and your phone, well I hope it’s waterproof if I take a tumble, only time will tell how hard wearing they will be, one good thing for me is the legs are a tighter fit, so the legs won’t rub together as I walk, as this is one of the main ware points on my waders. The boot I wanted had felt soles and not the rubber ones, I prefer them for grip on the river I fish. What Orvis have to say about their waders. 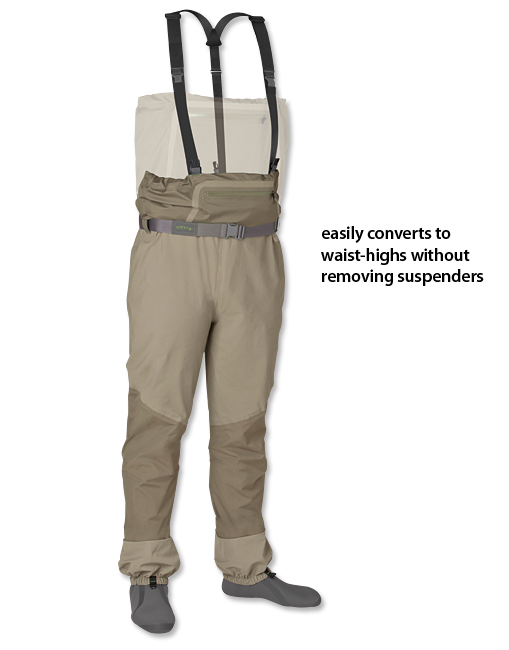 The most versatile welded waders on the market today. Fish dry, and know you’ll stay that way. Featuring the patented Orvis SonicSeam technology, all thread and stitch holes are eliminated and seams are double reinforced, prolonging the life of the waders dramatically. 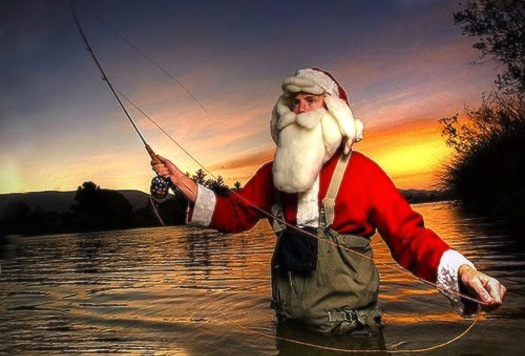 These are hard-wearing, everyday waders for the serious angler. Main wader is made of the same durable 4-layer nylon fabric as the Pack and Travel waders, while the upper is a lighter weight 4-layer nylon, the same fabric used in the Pro Guides. An innovative suspension system allows you to convert them to waist-highs without removing suspenders, a perfect feature for warm spring afternoons. Front zippered pocket is highly water resistant and an ideal storage place for fly boxes, while a flip-out interior waterproof pocket can hold cameras, cell phones, or fishing licenses. Attached gravel guards feature a quick-drain panel to keep you moving. Anatomically correct, sculpted neoprene booties for comfort. Strategically placed lower leg seams run up the back of the wader, reducing abrasion. 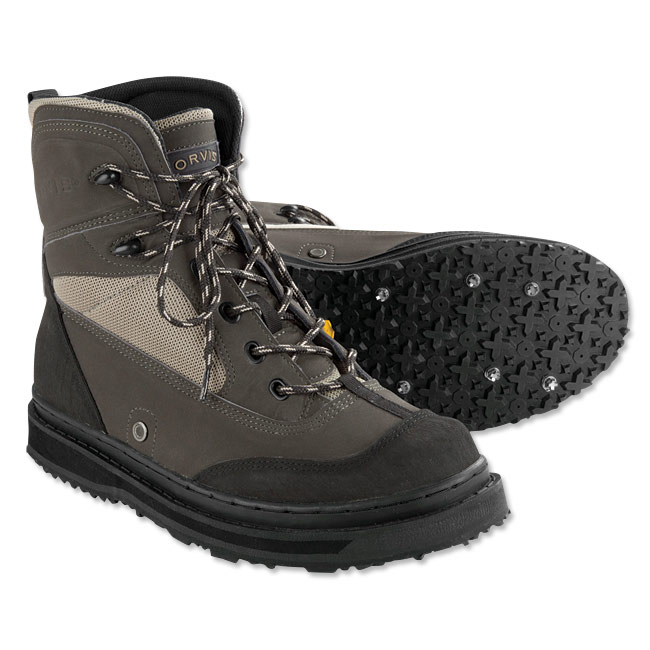 Wader is cut higher in the front on women’s model to provide a more comfortable fit. Wader belt and traditional suspender option included. In overcast/taupe. Outer shell: 100% nylon. Imported.